Where have all the women leaders gone? In the quarter ending June, India’s GDP grew at 5.7 per cent, the weakest rate of growth in three years. While this is being blamed on different disruptive reforms, we are conveniently overlooking a massive economic loss on account of lower participation of women in the labour force. IMF chief Christine Lagarde in 2015 said that higher participation of women in the workforce can expand India’s GDP by 27 per cent. Currently, India stands at the 87th position in the Global Gender Gap Index, with 27 per cent participation of women in the labour force — one of the lowest in the world. It is the only developing country which has witnessed a 10-per cent decline in women’s participation in the labour force in the last decade. In spite of the growing share (42 per cent) of graduating women, nearly 50 per cent of them drop out between junior and mid-levels, compared to 29 per cent across Asia. Women hold only 7.7 per cent of board seats and just 2.7 per cent of board chairs in India. They lose representation rapidly as they move up the ladder. We believe a greater share of women at leadership levels will help build more roles models, women-friendly policies, practices, infrastructure and mind sets that will inspire other women to join and stay in the workforce. Without doubt, a major untapped reservoir of talent lies in India’s underutilised female population. Growing talent shortage is a concern for 48 per cent of employers in India. Many complain about the lack of qualified women. 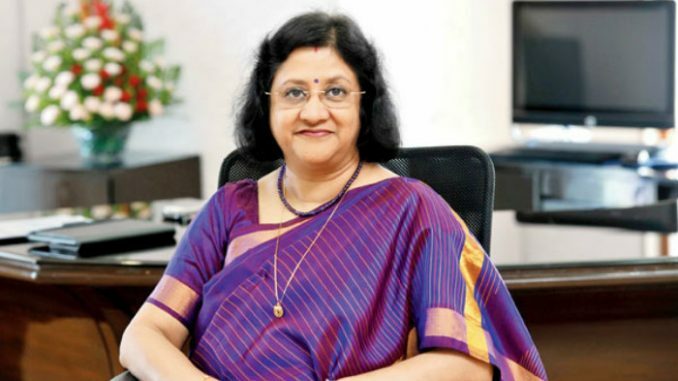 In response to the government’s mandate of at least one woman on the board, 93 per cent of BSE and 97 per cent of NSE listed companies have at least one woman director each. However, many women sit on multiple boards. We are not not investing in building a leadership pipeline of women leaders. The potential for economic growth is tremendous, if only we can solve this challenge. To gain momentum and drive change, women have been asked to lean in and they are doing so. But the environment has not changed sufficiently for them to overcome the hurdles to join, stay and rise to leadership roles. What are the challenges to stepping up women in the workforce? The first is hiring. There is an issue on the supply-demand side. While many educated women are reluctant to join the workforce due to safety concerns, pressure from parents to marry or their own conditioning, companies lack gender equitable hiring practices to create a demand pull. Job posting, all-male interview panels, lack of women role models all deter women from competing for jobs. Progressive firms have focused on gender parity in hiring by introducing gender targets, re-defining job descriptions to make them gender neutral, instituting gender-balanced selection panels, training the interviewers against unconscious bias. The second biggest challenge is retention in the initial five to seven years. The reasons are internal and external. Women harbour the same stereotypes that men have, and often consider themselves the primary caregivers. According to the OECD, in India, men devote 36 minutes a day to unpaid care responsibilities, as opposed to women who spend six hours. Women do not see enough women rising to the top or seeking opportunities to be independent, especially if their family income is adequate. Those who decide to stay, often give up aspiring for senior roles in the face of unequal opportunities, lack of mentors and self-pressure to be perfect both at work and at home. Externally, work practices such as insufficient maternity benefits and unavailability of childcare infrastructure are reflections of biases that impact women. We need more elastic workplaces that include flexi-time, work-from-home and part-time. We also need to be innovative to “relaunch” professional women back into the workforce after temporary career breaks to nurture the next generation. The third major challenge is equitable career progression. Many talented women who stay on in the workforce and aspire for leadership roles fail to reach these levels, due to inherent weaknesses and perceived shortfalls. Womens’ own reluctance to network, take risks and ask for what they feel they deserve, combined with the perception that they are not decisive and lack the drive needed for leadership roles, prove to be barriers for their career progression. They often get overlooked for key roles, either because they are not known to the leadership team or “stereotype” roles of women come into play. Sometimes, leaders in their effort to be considerate and protective of women, do disservice to gender parity. None of the above diversity policies and practices can change numbers without honest leadership commitment.